December 11, 2013 — Sherman College of Chiropractic has released dates for its key continuing education events in 2014; including Lyceum; the International Research and Philosophy Symposium (IRAPS); the Academy of Chiropractic Philosophers (ACP); an International Chiropractic Pediatric Association (ICPA) certification program; ICD-10 Coding with John Davila, DC; Koren Specific Technique with Tedd Koren, DC; Radiography of Challenging Patients with Pat Kuhta, DC; and numerous other events. Lyceum (May 1-3, 2014): The college’s 41st Lyceum, “Fuel the Vision: Adjusting the World for a Better Future,” will be held from Thursday to Saturday, May 1-3, 2014. Lyceum is held each spring on the college’s campus in Spartanburg, SC, and involves three days of seminars, reunions, alumni events and more. The program typically features more than 30 seminars with attendees able to receive up to 21 hours of continuing education credits. Speakers are being finalized and will be announced in January 2014. IRAPS (Oct. 18-19, 2014): Renowned researchers and philosophers join forces each October for the International Research and Philosophy Symposium (IRAPS) at Sherman College; the 11th annual symposium will be held Oct. 18-19, 2014, at the college. The symposium is designed to bring together individuals with different viewpoints and approaches and to promote critical thinking in regard to the professional, philosophical, theoretical and practical considerations of vertebral subluxation correction. Abstracts will be due in June. The event offers 12 hours of CE credit. 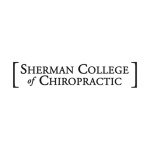 ACP (sessions in 2014): The Sherman College Academy of Chiropractic Philosophers (ACP) has scheduled a program in Sweden in 2014, and dates are being set now for next year’s domestic program. The ACP is a one-year course designed to enhance the understanding, depth and breadth of chiropractic philosophy. Candidates complete a scholarly 100-hour program exploring classical to modern-day philosophy. The ICA Council on Philosophical Chiropractic Standards accepts the successful completion of the ACP for 100 hours towards its diplomate in Philosophical Chiropractic Standards. 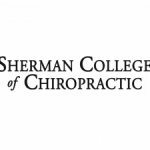 ICPA (14 modules through April 2015): Sherman is hosting the International Chiropractic Pediatric Association (ICPA) 200-hour certification program on campus. Attendance at all 14 classroom modules and participation in two in-office research projects fulfills the requirements for the ICPA 200-hour certification program and Part One of the ICPA 360-hour Diplomate Program. The series runs through April 2015, and details may be found at icpa4kids.com/seminars/. ICD-10 Coding for Chiropractors (January–September 2014): With an emphasis on a subluxation-based practice, this class provides the tools to make the transition to ICD-10 painless and relevant. The course helps doctors navigate the new diagnosis codes and improve documentation. Instructor John Davila, DC, is an expert in documentation and medical necessity, and he is considered the foremost authority on compliance issues as they relate to chiropractic practice. Classes will be held once a month on the Sherman College campus from January to September 2014, and 8 hours of CE credit are offered. Koren Specific (Jan. 25, 2014): Koren Specific Technique, Neurology, Cancer and Chronic Illness with Tedd Koren, DC, will be offered Jan. 25, 2014, on the Sherman campus. The program covers the philosophical foundation for vitalistic care and how to apply it using a protocol that is in harmony with chiropractic principles. KST includes a unique and specific analysis procedure using the occipital drop (OD) that quickly locates priority subluxations; the program also explores the proper order in which to adjust subluxations, the posture of subluxation and its connection to effective care, as well as cranial adjusting, disc correction and extremity care. Chiropractic Radiography of Challenging Patients (Feb. 8-9, 2014): Pat Kuhta, DC, is teaching Chiropractic Radiography of Challenging Patients on Feb. 8-9, 2014, on the Sherman College campus. This course aims to increase the practitioner’s knowledge, skill, and confidence in x-ray positioning of various types of challenging patients. This seminar will focus exclusively on spinal X-ray positioning utilizing a tilting bucky for the regional radiographic images taken in the general chiropractic office; 12 hours of CE are offered.